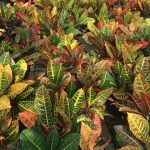 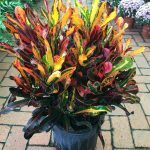 Crotons are beautifully colored tropical foliage plant with a variety of uses. 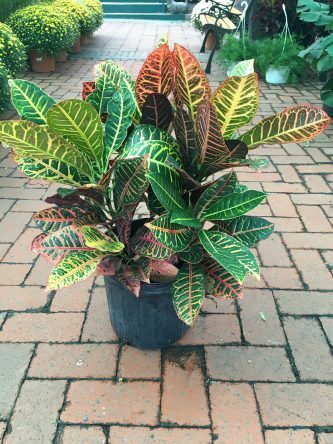 Crotons work as well indoors in bright light as they do in outside mostly sunny to partly sunny areas. 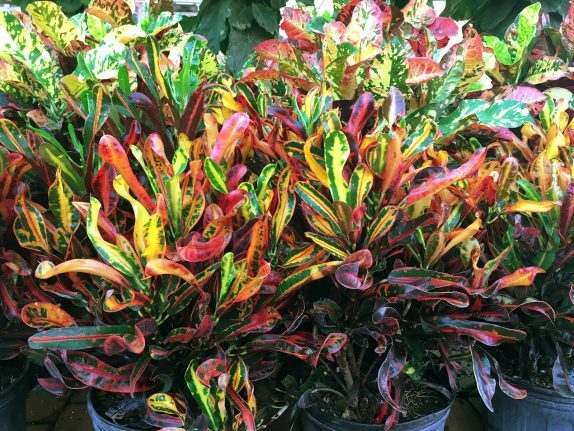 Foliage color varies due to light conditions, but expect oranges, yellows, and rich greens. 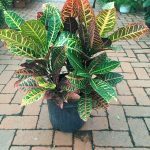 Bring potted plants indoors in winter. 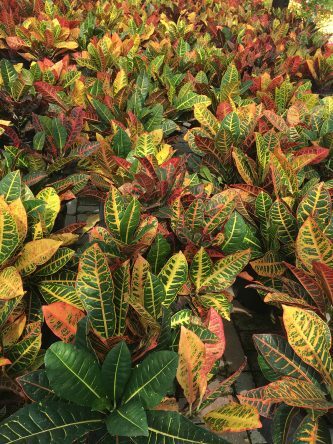 The large leafed “Petra” variety is our most popular, but other varieties including curly leafed Mammy and the thin leafed “Picasso’s paintbrush” are great options. 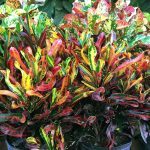 Sizes vary but crotons in 1 gal pots start around 12″tall. 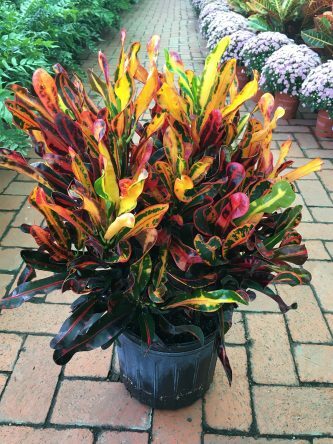 Plants in 10″ (3gal) size will be in the 20-30″ height range.